We have several business savings account products designed to provide you with a safe and secure way to save money at a competitive rate of interest. From Basic Savings to Money Market accounts to Jumbo CDs, our friendly personal banking staff can assist you in selecting the best option for you and your business. Additionally, you will enjoy the ease and convenience of our secure 24-hour online, mobile and telephone banking platform. 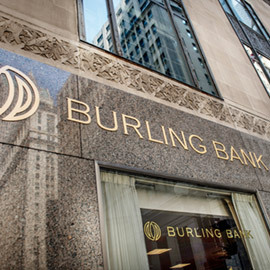 Burling Bank deposit accounts are FDIC insured up to $250,000. For information on fees and balance requirements please see our Deposit Account Information disclosure.